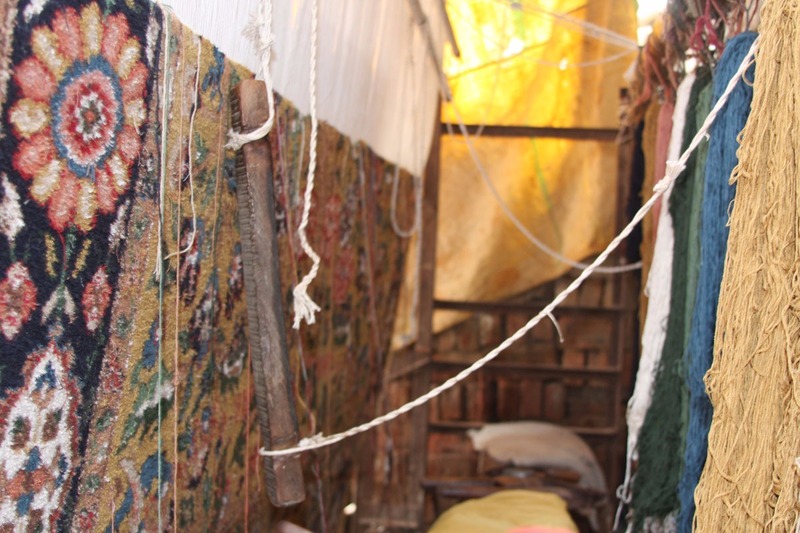 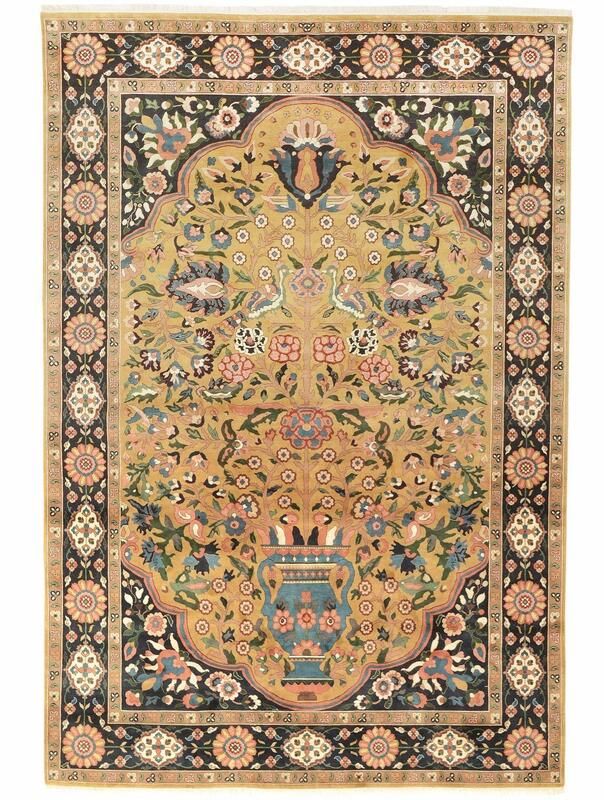 A Bakhtiari nomad design carpet based on a 20th Century original, with pure silk pile hand woven on a cotton foundation to 256 knots per square inch. 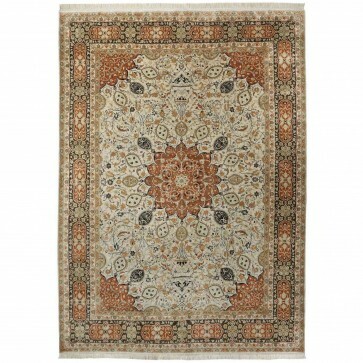 A Bakhtiari nomad design carpet based on a 20th Century original, with pure silk pile hand woven on a cotton foundation to 256 knots per square inch. 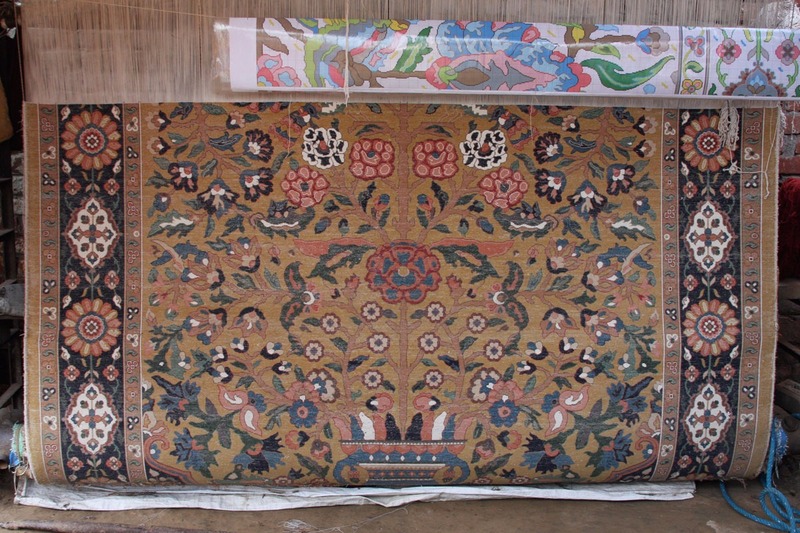 The design is taken from an original nomad piece which compares favourably in design and quality to workshop pieces and is a prime example of Bakhtiari work. 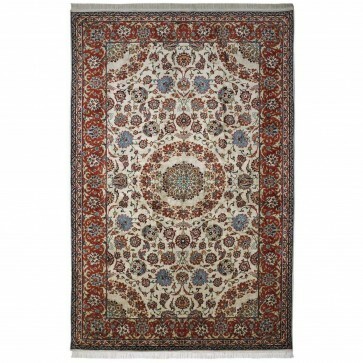 The natural brown coloured field is filled with generously sprouting floral tendrils which ascend from a vase drawn in blue-red. 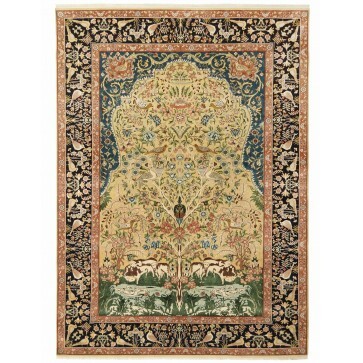 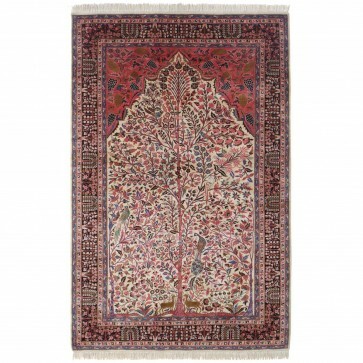 The centre of the carpet is one of the five blossom ornaments, a blue-red rosette accompanied by two lanceolate leaves. 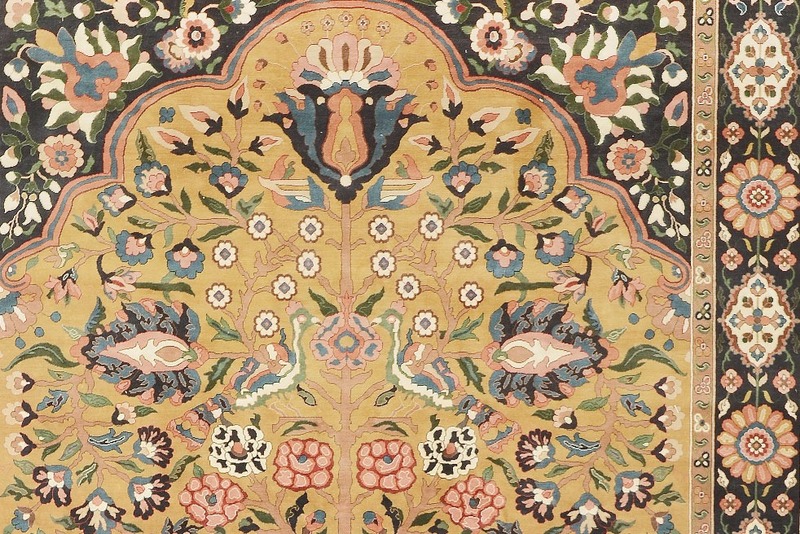 Utilizing the same colours, the upper third of the carpet is dominated by three palmettes, harmoniously drawn and coloured, the the flowers and stems of which are nesting two pigeons. 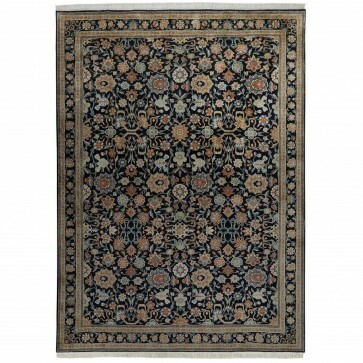 The corners are as originally resolved as is the entire border with its diamond and rosette pattern. 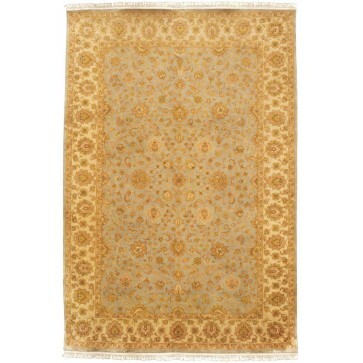 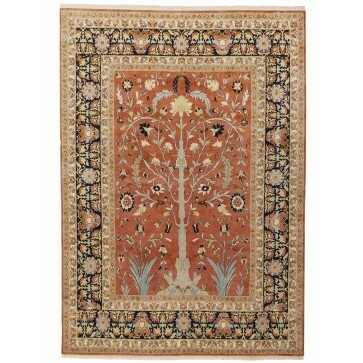 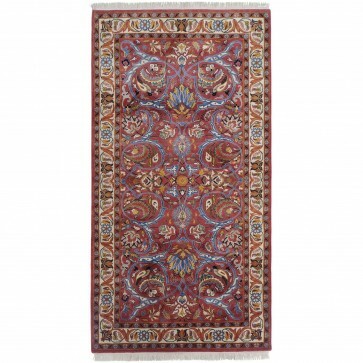 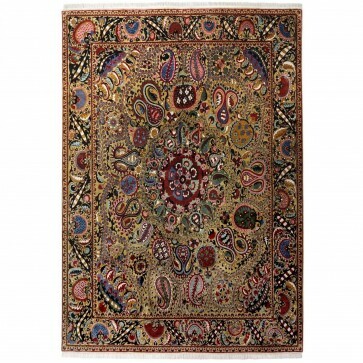 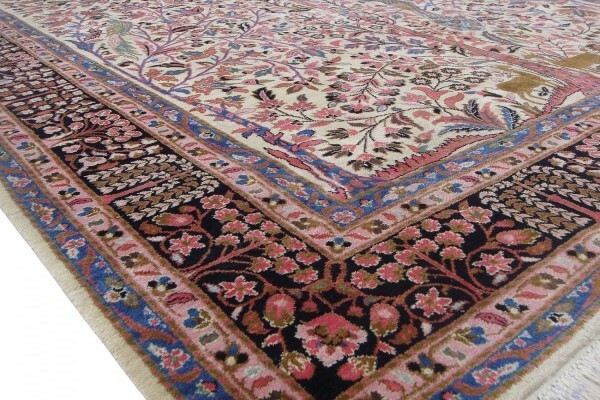 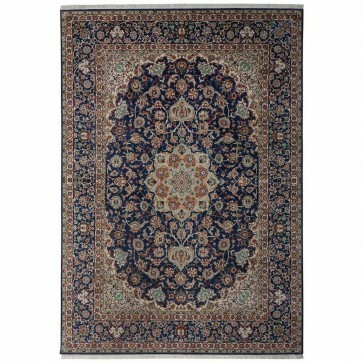 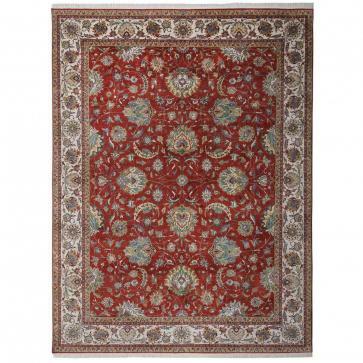 This hand knotted carpet represents approximately 9 to 10 months of man-hours to weave.